In parallel to presenting the Bridging The Gap Seminars, Richard Trudgen also offers his services as a cross-cultural training consultant, drawing from over 40 years of experience on the ground working with Aboriginal people. Certain professionals need focused training to help them with the specific challenges they face in their work environment. For example, this may be in the medical profession treating Aboriginal patients, for lawyers assisting Aboriginal clients or for teachers in Aboriginal community schools. 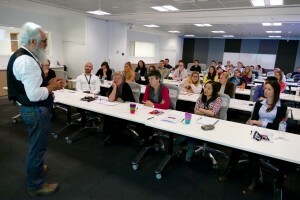 We can organise tailored training workshops especially designed to meet your unique workplace needs. These can come in all sizes, from a four-hour cross-cultural communication workshop, up to a number of days covering a wider range of issues. We can fit them into yearly staff conferences, or conduct them at your workplace. We also provide consultation in areas specifically relating to Indigenous policy, law, health, business, economics and ethics. 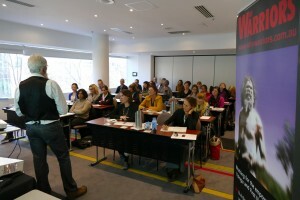 If you would like to request a consultation, please email us at training@whywarriors.com.au.